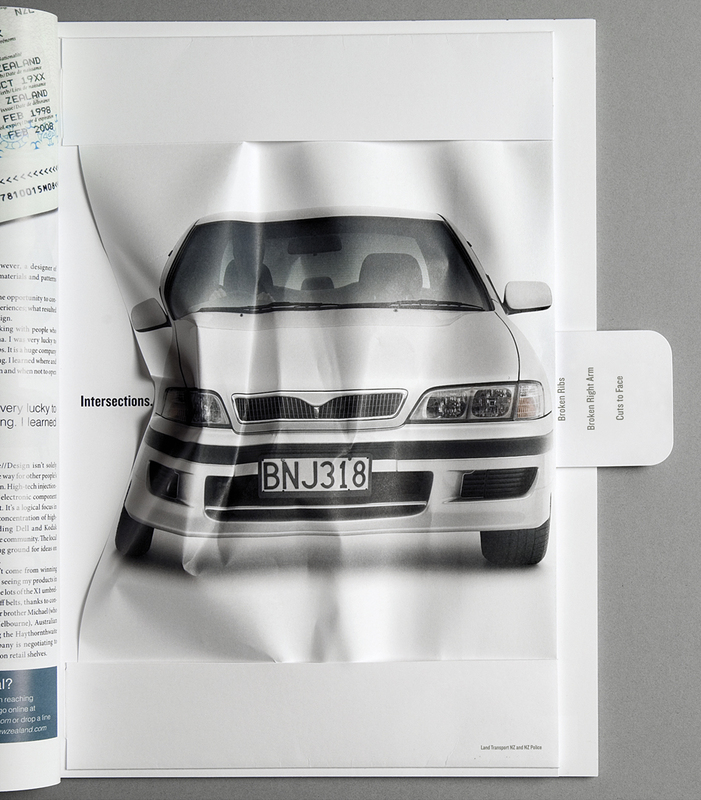 Land Transport New Zealand in 2007 commissioned a printed and bound full page insert providing the image of a car which physically crumples at the side when an attached tab is pulled. The advertisement provides a working demonstration of the damage a car suffers when a bad decision at an intersection leads to a side-on collision. 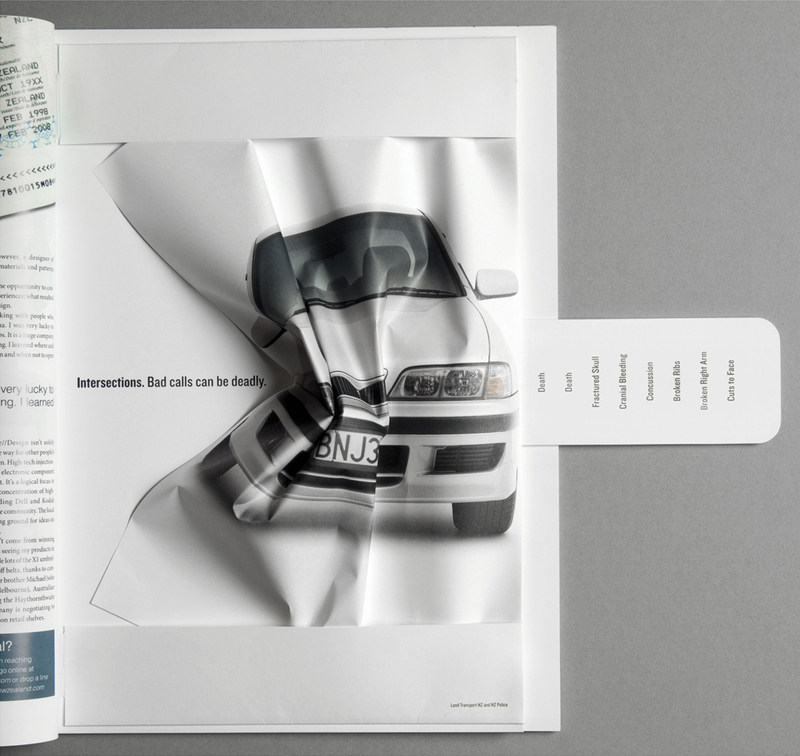 As the reader pulls the tag out further, the paper becomes more crumpled and the text highlights the severity of likely injury – from relatively minor ‘cuts to face’ to ‘death’. The Crumpled Car insert was developed at Clemenger BBDO, Wellington, by executive creative director Philip Andrew, creative director/copywriter Mark Harricks, art director/copywriter Brigid Alkema, account supervisors Linda Major and Briony Small, typographer Chris Chisnall and photographer Diederik van Heyningen. 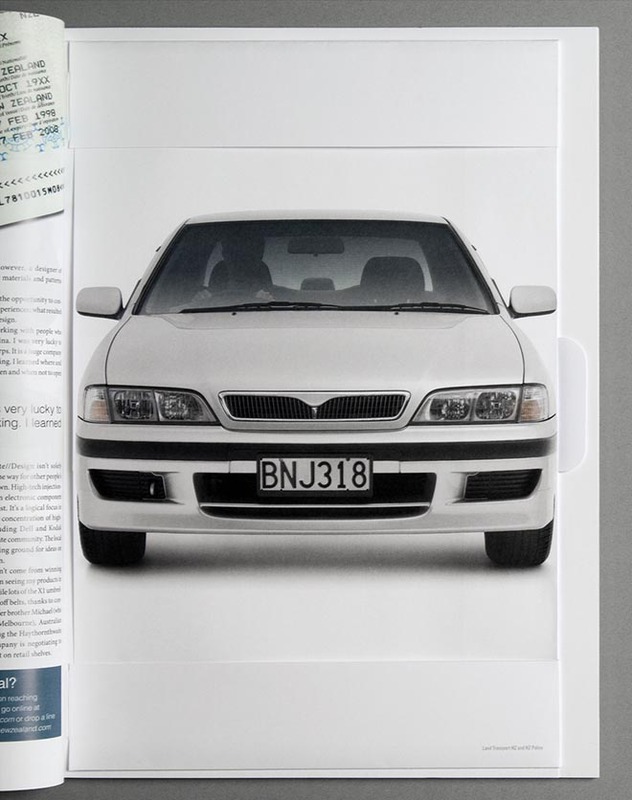 The insert was created at Service Printers, Wellington.